who served in the U.S military. "All we can do here is prove that we are good sports and good Americans, and hope that people will respect us and our problems." In this article, First Lady Eleanor Roosevelt (1884 � 1962) attempted to play (very politically) both sides of the street, implying on the one hand that the creation of the Japanese-American internment camps seemed a reasonable measure in wartime; but the reader doesn't have to have a degree in psychology to recognize that she believed otherwise. A 1944 report by the War Relocation Authority regarding the population of the Japanese-American Relocation Camp located at Tule Lake, California. The attached chart will allow the reader to understand the numbers within the population of that camp who were foreign born, U.S. born, their age and their gender. Attached is a eye-witness account of the Los Angeles Issie and Nisei populations after having been removed from their homes and detained at Santa Anita racetrack prior to their transfer and subsequent incarceration at Manzanar, California. "There are more than 6,000 Japanese housed in the stables which once accommodated 2,000 horses...Each stall has had a room built on in front with doors and windows and the floors have been covered with a layer of asphaltum which seems to have killed the odors." This article, laced throughout with subtle undertones of condemnation, was written by a Hollywood screenwriter named Alfred Cohn (1880 - 1951) who is largely remembered today for having written the adaptation for the Al Jolson movie "The Jazz Singer" (1929). "...I'm putting it mildly when I say that it makes my blood boil...We shall fight this injustice, intolerance and un-Americanism at home! 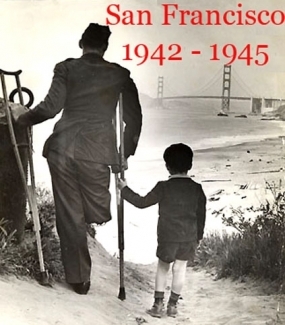 We will not break faith with those who died...We have fought the Japanese and are recuperating to fight again. We can endure the hell of battle, but we are resolved not to be sold out at home." 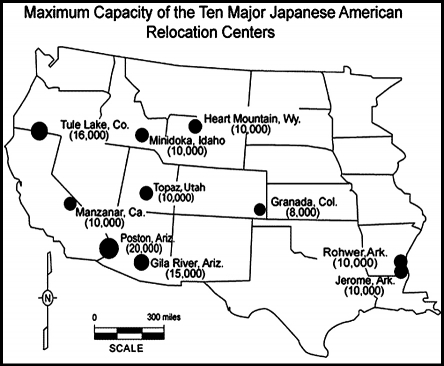 A list provided by the War Relocation Authority of the seven groups that maintained ties and created various social and educational activities for the interned Japanese-Americans spanning the years 1943 through 1945. The Y.W.C.A., the Boy Scouts and the American Red Cross are just three of the seven organizations. 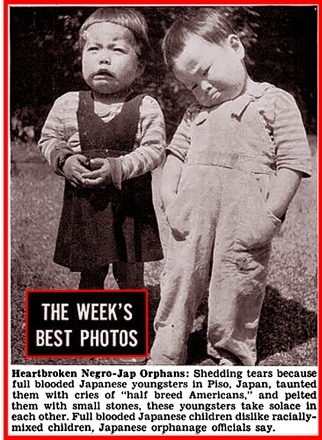 For years prior to W.W. II and the creation of the Japanese-American internment camps, the people of the United States had been steadily spoon fed hundreds articles detailing why they should be weary of the Japanese presence in North America; if you would like to read one that was printed as late as 1939, click here.